Mesh count 90,110,130, and 160 could be mixed into the 12 pack. Great customer service, quick shipping, super affordable, and probably the best screens ive gotten so far!! Ill be back for more. Thanks Gold-Up! Thanks for the fast service and great quality. Bought several screens here and am very happy. Delivered quick and the screens are amazing so far. Have used their screens before and they always work good why pay so much more somewhere else. Cheaper than sending out my aluminum frames to get re-meshed. Happy ! I have ordered two hundred screens over the last few years.\No problems whatsoever. No glue coming loose. no warpage. excellent product for the money. excellent shipping times. Just received all my screens. They look awesome. Can't wait to start using them. I bought these before and came back for more. That should say it all. Why pay more when these work so good. I have been using Gold-Up USA screens for the past 2 years. I have to say they are a very good aluminum screen for the price you would typically pay for wooden screens. I have purchased and used other brands of aluminum screens that cost $5-$7 more per screen and was disappointed with the lack of quality I thought i would be getting with a more expensive screen. The only minor issue I run in to with the Gold-Up screens is a bit of twist in the frames from time to time. Over all, great screens at a great price! 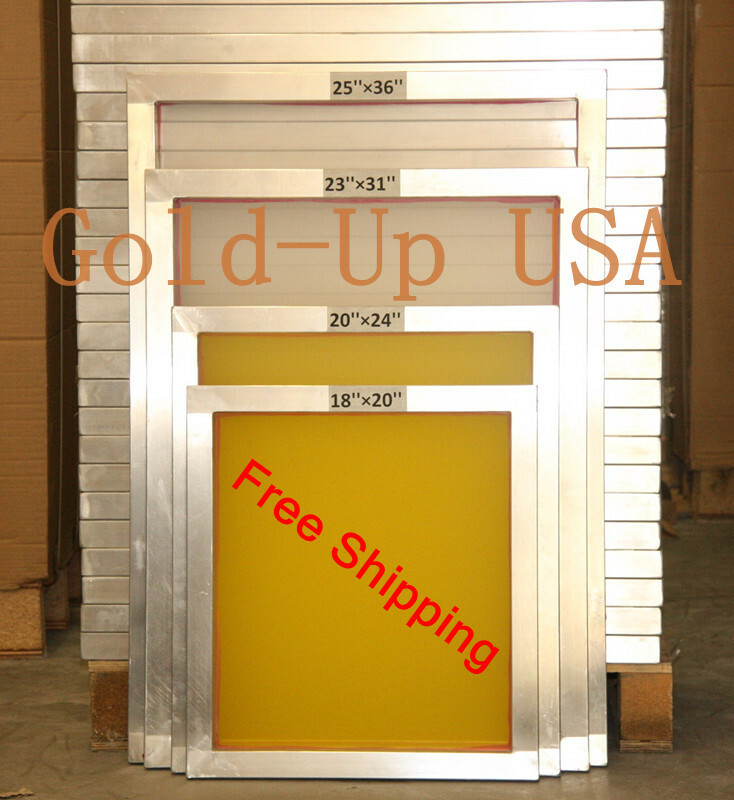 Click the button below to add the 12 Pack Aluminum screen printing screens AL20"x24" - Free Shipping to your wish list.